OET works closely with the Oxford Brookes University Insect Virus Research Group (IVRG) within the School of Biological & Molecular Sciences. The IVRG is co-located with OET in a purpose built suite of modern laboratories which are well equipped for many aspects of molecular biology and virology. The group also has access to all School facilities including a state-of-the-art microscopy suite for confocal and electron microscopy. The long-standing relationship between the two organisations facilitates the transfer of specialist knowledge and techniques in order to overcome the more challenging aspects of each other’s research. Trenzyme are a German based Contract Research Organisation who specialise in the development of assay cell lines, production cell lines and recombinant protein production. Since their establishment they have been a valued research partner of both national and international clients, ranging from academia and small biotechs to big pharmaceutical companies. OET’s collaboration with Trenzyme enables us to offer our customers a more comprehensive choice of recombinant protein expression platforms that cover not only the baculovirus system but also bacteria, yeast and mammalian. ParaTechs Inc and OET have joined forces to bring together the benefits of OET’s baculovirus expertise with Paratechs’ innovative and unique product design capabilities. Through such collaborations, ParaTechs has allowed for the discovery and development of many widely used and revolutionary technologies, helping to make rapid advancements in the field of biological research. This partnership has already lead to the establishment of the Super-Sf9 specialised insect cell lines and one-of-a-kind vankyrin expression vectors both of which are designed to be fully compatible with our flashBACTM system. The European Collection of Authenticated Cell Cultures (ECACC) has become one of the premier suppliers of authenticated and quality controlled cell lines and nucleic acids in the world. The collection currently holds cell lines representing 45 different species, 50 tissue types, 300 HLA types, 450 monoclonal antibodies and at least 800 genetic disorders. ECACC is a centre of excellence and expertise in all aspects of cell culture and OET are pleased to announce that our partnership will be able to offer a combined baculovirus expression service with scaled up recombinant protein production in animal cell culture for quantities from 1L to multiples of 100L. OET is an active member of the Oxfordshire BioScience Network (OBN). OBN is a not-for-profit membership organisation which provides comprehensive support for the UK’s life sciences companies, corporate partners and investors. From this membership OET can benefit from OBN’s extensive networking, training and partnering opportunities not only in and around Oxfordshire but across the UK. The Oxford Consortium for Islet Transplantation (OXCIT) is dedicated to the research and development of human pancreatic islet transplantation in order to achieve insulin independence in patients with diabetes. 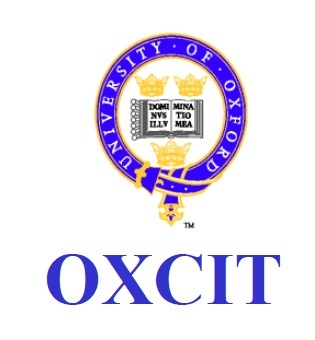 As part of the Nuffield Department of Surgical Sciences, OXCIT will be working closely with OET on the TRANSDIA project by sharing their expert advice and world class facilities on human islet cell isolation and clinical transplantation. To date, OXCIT’s scientific breakthroughs have contributed to the establishment of novel techniques and approaches used routinely worldwide and we are hopeful that our collaboration will help ensure the success of a crucial and life-changing proposal. The Jenner Institute is a partnership between the University of Oxford and The Pirbright Institute that supports the development of innovative vaccines against major global diseases affecting both humans and livestock. The institute focuses on rapid early-stage development of potential new vaccines and their assessment in clinical trials. This experience and expertise will help OET in successfully taking our vital work on Crimean Congo Haemorrhagic Fever virus (CCHFv) to candidate vaccine phase I clinical trials. OET have partnered with Public Health England (PHE) Virology and Pathogenesis Group to work jointly on developing an effective vaccine against Crimean Congo Haemorrhagic Fever virus (CCHFv). PHE is an operationally autonomous executive agency of the Department of Health. Their mission is to protect and improve the nation’s health and to address inequalities through working with, national and local government, the NHS, industry, and the voluntary and community sector. The Clinical BioManufacturing Facility is the University of Oxford’s GMP (Good Manufacturing Practice) manufacturing facility and who will be collaborating with OET to produce GMP-compliant insect cell master banks. With over 20 years’ experience of working to GMP standards and manufacturing novel biologicals, the Clinical BioManufacturing Facility provides an essential link between early stage research institutions and clinical drug development, allowing collaborators such as OET to make rapid progress into phase I/II clinical trials. The Centre of Molecular and Cell-Based Therapeutics (CMCBT) is dedicated to providing molecular and cellular-based therapies that combine rigorous academic study and the excitement of discovery. Based in Mexico City, Mexico, CMCBT will act as OET’s primary collaborator for the TRANSDIA project. CMCBT’s commitment to generating innovation and knowledge transfer of health products and services will allow the TRANSDIA research to benefit children and young adults in Mexico suffering from type I diabetes. OET have brought on consultancy company Marlow Associates to provide key advice and guidance in ensuring successful preparation for transfer of our CCHF vaccine technology to cGMP standards. Marlow Associates are experts in the requirements for production of Investigational Medicinal Products (IMPs) in the EU and US. Their consultancy services specialise in working towards regulatory approvals for early phase development of innovative biological and biotechnology based products. The Newton Fund builds research and innovation partnerships with partner countries to support their economic development and social welfare, and to develop their research and innovation capacity for long-term sustainable growth. The UK’s Newton Fund money is classed as Official Development Assistance (ODA) and projects must demonstrate that they aim to improve the health and well-being of the population of Newton Fund countries through their actions. OET have been fortunate enough to secure such funding as part of a research partnership between the UK and Mexico which will focus on establishing an islet cell isolation and transplantation programme (TRANSDIA) for type I diabetes. Innovate UK is the UK’s innovation agency and works towards driving UK productivity and growth by supporting businesses to realise the potential of new technologies. This is achieved by promoting the development and commercialisation of new ideas, connecting innovators with suitable partners, and offering advice and guidance on building successful businesses. OET is supported and funded by Innovate UK to help realise the potential of our vaccine technology for eradicating Crimean Congo Haemorrhagic Fever virus (CCHFv).